All of our dogs are responsibly bred. Cinderella (Cinder) has a free loving spirit. Full of energy and joy, she's very friendly with all of our dogs. She loves attention and is very smart and well behaved. 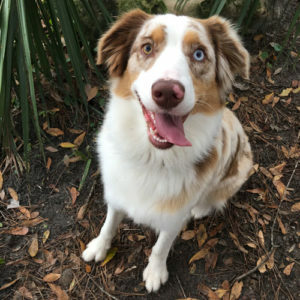 She's got a gorgeous red Merle coat with copper trim and a beautiful blue eye as well as a green eye. Her coloring is simply amazing and she will be our first Aussiedoodle mom! 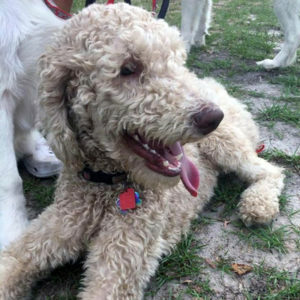 Aussiedoodles are known for being affectionate, alert, cheerful, energetic, intelligent, loving, loyal, playful, responsive, and social! 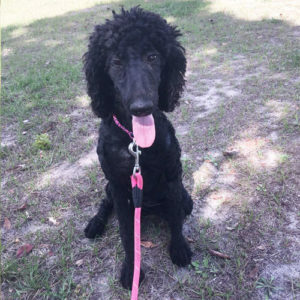 Cleopatra (Cleo) is a very elegant small Standard Poodle. She weighs 40 pounds. She's got a deep rich black coat. She's very playful and friendly to all. 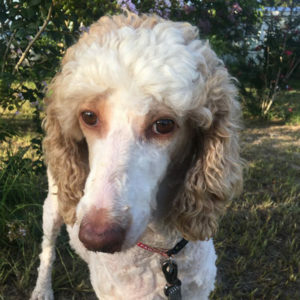 Daphne is a beautiful small standard poodle who is white with red markings. She is very gentle and loyal. She is always at my feet protecting me from any perceived danger. She loves hugs and dancing with Ashton! This is Dolly. She is one of our new English Golden Retrievers. She is Ultra Cream and has gorgeous coloring. She's outgoing, loyal and playful. She weighs 55 pounds. This is Elsa. 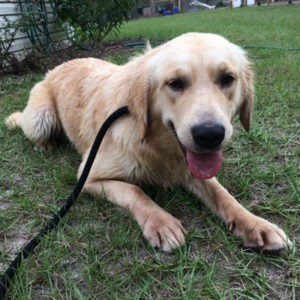 She's the third of our new English Golden Retrievers weighing 55 pounds. She's a light apricot. She's eager to please, loves to follow me around. Very happy girl. Fern is our generation 2 Pyrenees. She is 100% Pyr and sports double dews on her back legs. She is mostly white with a black nose. 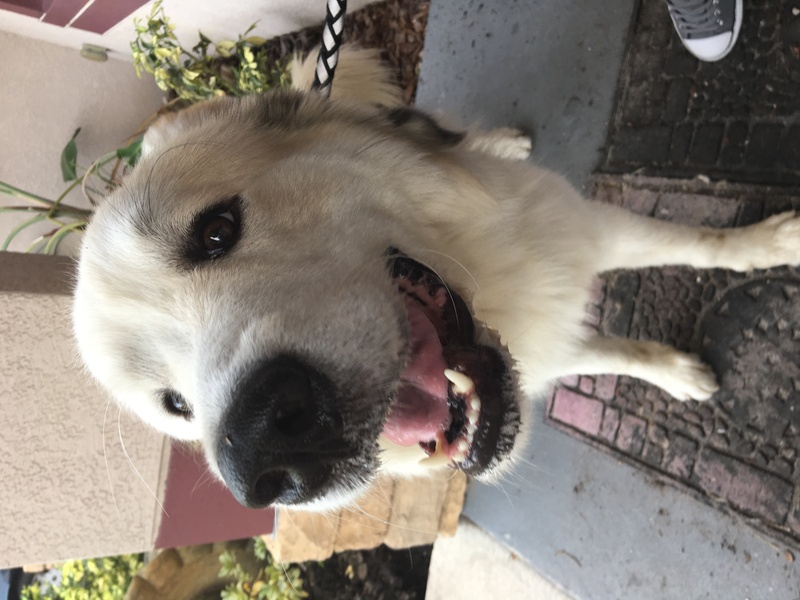 She is gentle and loves being petted so much she's the undefeated winner of our "biggest lap dog" award! This is Holly. She's a 50 pound F1 English Goldendoodle. She's very loving and loyal. Very outgoing and friendly. She doesn't know a stranger! She's got a nice red wavy coat. This is Irie. She is one of our own English Goldendoodle puppies from Reba and Sterling and is owned by my daughter. She was one of the smaller ones of the litter, and we both fell in love with her. My daughter decided she had to have her and the rest is history! She is a gorgeous example of our puppies. 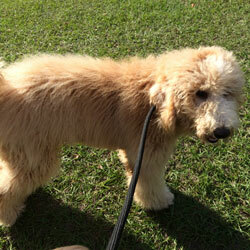 (Picture coming soon) Kale is a rich cream colored doodle that was born here with us! She is part of our second generation of parents. We knew she had to stay with us right away, she loves to play in the front yard with Ashton! This is Lola. 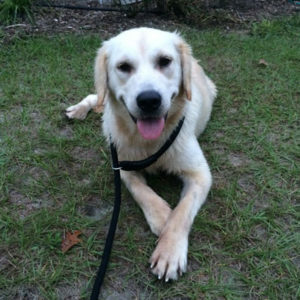 She's another one of our new English Golden Retriever girls, weighing 55 pounds. She's apricot in color. She's friendly, loving and gentle. Sophia is our newest Mom. She is an F1 Mini Goldendoodle. She weighs just 16 pounds and is light apricot in color. Sophia enjoys sleeping with me and most times I can't say no! Raven gets her name from her coat, she is a rich black, "raven-haired" beauty. She weighs about 55-60lbs. She is full of happiness at all times! 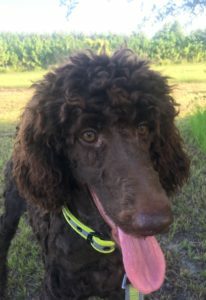 She will soon be mom to our first Labradoodles! We can't wait to see her pups! Sister of Raven, Siren weighs about 50lbs. Definitely a "retriever", she loves to play fetch. She is our second Labradoodle mom and a deep shiny black color. 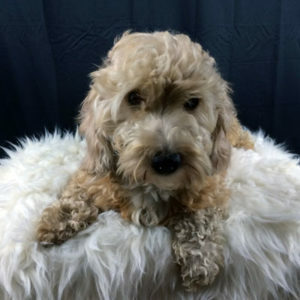 (Picture coming soon) Canyon is a 40 pound ultra cream goldendoodle. 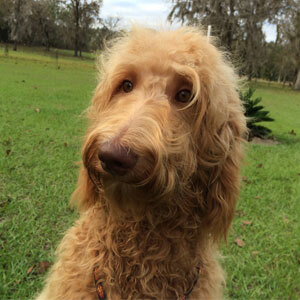 He is like the Brad Pitt of doodles, extremely handsome and definitely a flirt! He is full of affection and loves to play. Charlie Brown is our newest sire! 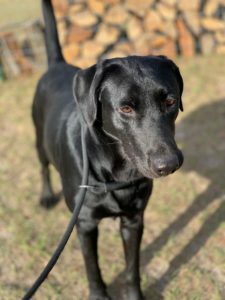 He is a smaller dark chocolate, weighing about 45 pounds. He's on the quieter side of the poodles and is very well behaved. We love him dearly and can't wait to see what his puppies will look like! Chip is our miniature Poodle. 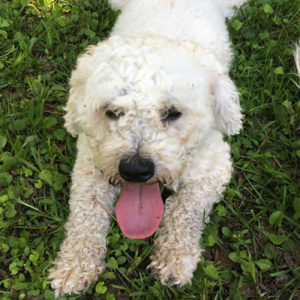 He is white and cream parti in coloring and weighs 15 pounds. He and his brother spend hours playing together and are always entertaining to watch. 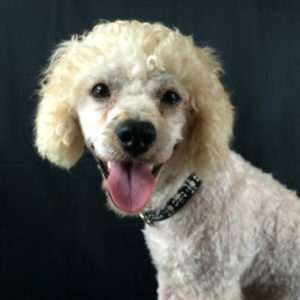 Dale is our miniature Poodle and is brother to Chip. 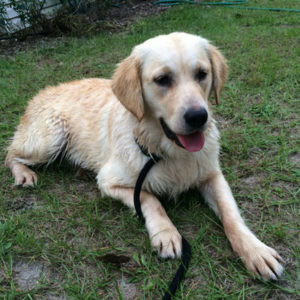 He is a beautiful white and apricot parti in coloring and weighs 20 pounds. He and his brother spend hours playing together and are always entertaining to watch. 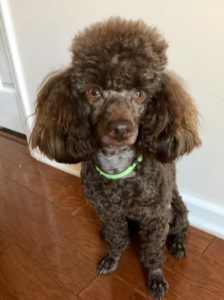 Hershey is an 8 pound brown toy poodle that is as sweet as the chocolate chips in your pancakes! 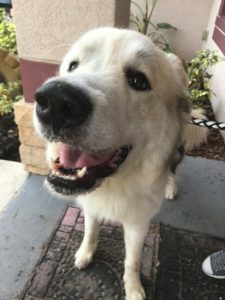 He is very affectionate and appreciates hugs, kisses, and belly scratches. This is Lincoln. 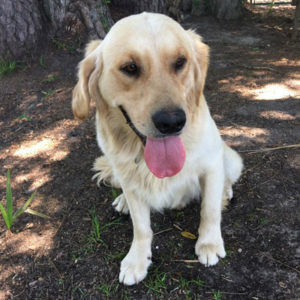 He's an English Golden Retriever. He weighs 60 pounds. He's a light apricot. He's very easy going and sweet. Loves to snuggle. Very intelligent boy. Meet Zeke. He's a 50 pound standard poodle. He's apricot with cream features. Has the parti gene. He's extremely obedient and attentive. He's got a genuinely sweet and docile personality. He loves running and playing in the yard.